At EcoFloridian® Lawn and Pest Control, we are proud to provide our lawn, termite, and pest control services to several areas in Florida. We proudly service the following counties: Pasco, Hernando, and Citrus. For questions about our service area, please call us today at 352.251.2612 or click the link below. We assess the condition of your lawn and develop care plans to treat problems and prevent further issues. Let us maintain a healthy lawn for you. Let us take care of damaging termites in your home. Our technicians are licensed, skilled and provide exceptional customer service. Don’t let pests create problems in your home. 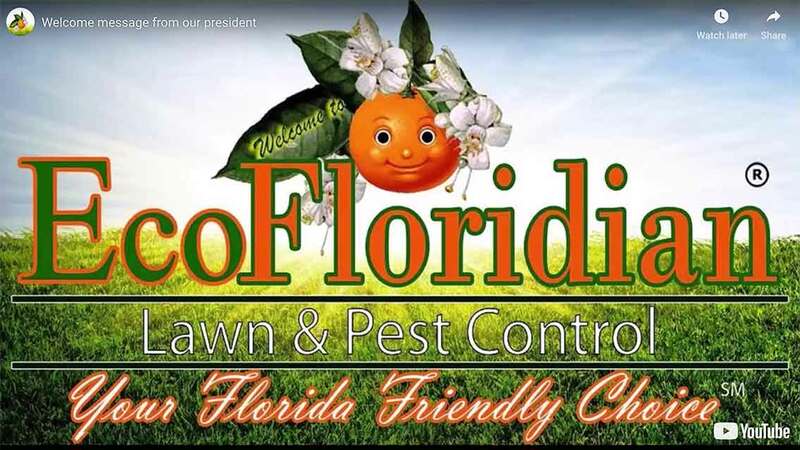 At EcoFloridian® Lawn and Pest Control, we offer friendly, reliable, and trustworthy service. Don’t let pests create problems in your organization. At EcoFloridian® Lawn and Pest Control, we offer clean, reliable, and professional service. Take comfort in our tree and shrub care programs. We continually inspect and treat your ornamental palms and trees for issues throughout the seasons. Looking to start a new project and want to find out the cost? Don't stress. We'll help you step in the right direction, and keep your wallet safe. We offer organic and green friendly pest and lawn control services. Using natural plant oils as an alternative to chemicals, we eliminate pest problems before they become a serious threat to your health and safety.